Random, mostly photography-related musings by some guy on the internet that you've never met. I'm not usually a toy camera kind of person. The couple that I have don't get much use, they're just not my style. 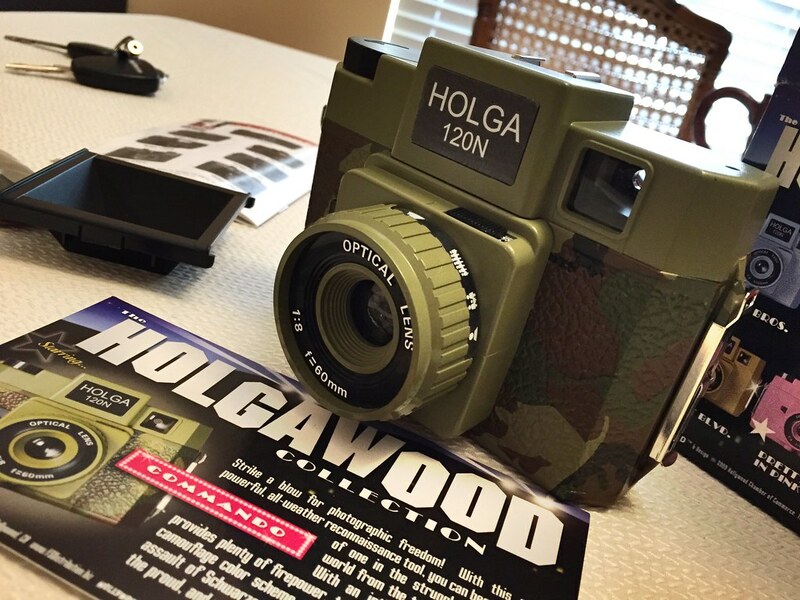 But I recently won third place in a photo contest, and my prize was this olive camouflage "Holgawood Collection" Holga 120N, called "Commando". With the factory having shut down, I figured that at least now I'll get a chance to use one of these infamous little cameras before they are nowhere to be found (although now Freestyle says they're coming back?!). Of course, I am aware of the Holga's "So Tragically Flawed It's Cool" status that makes it the darling of hipsters worldwide. In fact, even the user manual extolls the virtues of its plastic lens and probable light leaks as "stretching our visual perception" in ways a proper camera apparently cannot. The idea of random uncontrollable light leaks as a feature rather than a problem makes little sense to me, and I certainly don't think I'll be using the Holga as a primary camera for "real" shooting, but I do sort of get the allure of an all-plastic zone focus toy that requires little or no effort. A while back, I found a guy on Craigslist that was selling several random cameras out of a box in the trunk of his car. I think he was working for a thrift store and probably would collect some of the cameras that he ran across, using them as display pieces in his house. For whatever reason, he wanted to get rid of them so I met with him, rummaged through his stuff, and bought the entire box for $30. One of the 7 or 8 cameras in there was this box camera, an Agfa Ansco D-6 Cadet, which was produced from 1935 until 1941. 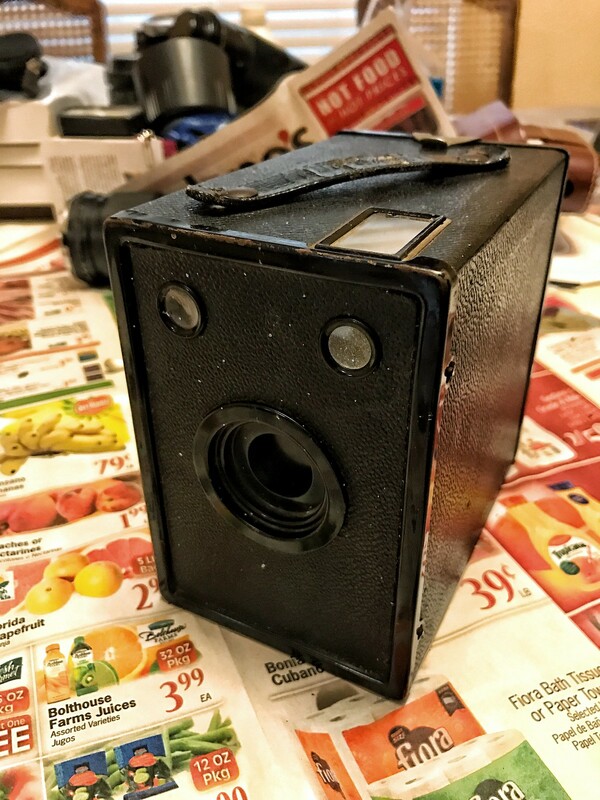 Usually when I run across a pre-WWII box camera like this, it's a mess. The lens is missing or damaged, the winding mechanism is destroyed, etc. In this case, it was just a little dirty. So I cleaned it up! I laughed a little to myself when I read the Craigslist ad, "We know how much it cost, but what is it worth?! Submit your offers and the highest bid will be accepted on April 5th!" The blurry, oddly angled photo taken in bad light betrayed little or no sense of its condition, and I just let it pass. 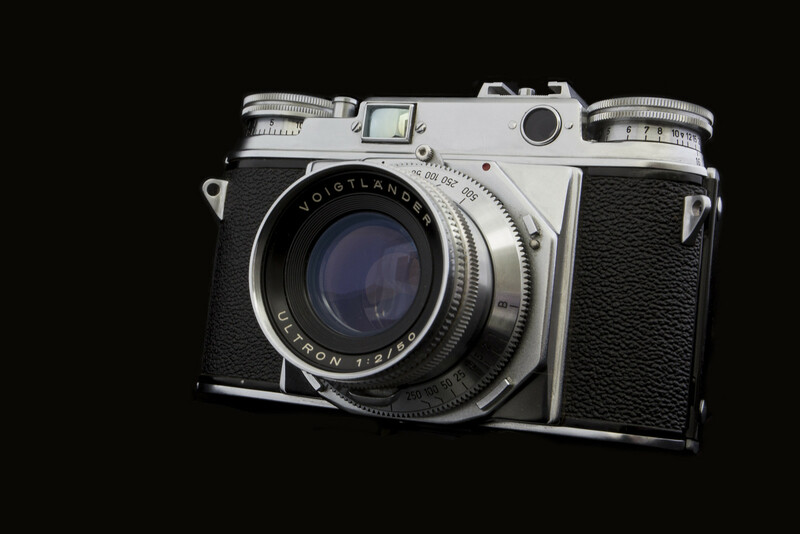 Of course I wanted a nice 1950's era chrome rangefinder, but I'm not really willing to get into a bidding war over one. I've got plenty of cameras already. April 5th came and went, and the ad was re-listed. Then it was re-listed again, and then again. No one was biting. Eventually curiosity got the best of me, and I sent an email asking what kind of price range he was looking for. He wanted $200, I politely declined with the excuse that I was just looking for something cheap to take on vacation with me, and I wished him luck. Here's the fun part: when he heard I was actually going to be using the camera and not just putting it on display somewhere, he offered to give it to me for $100 and the assurance that I'd put it to good use. Apparently it belonged to a friend of his, a 91-year-old veteran that bought it while stationed in Germany sometime around 1951. He agreed to sell it for his friend, who was excited to hear that it might get some use again. Vivitar v4000 that suffered a sad fate. 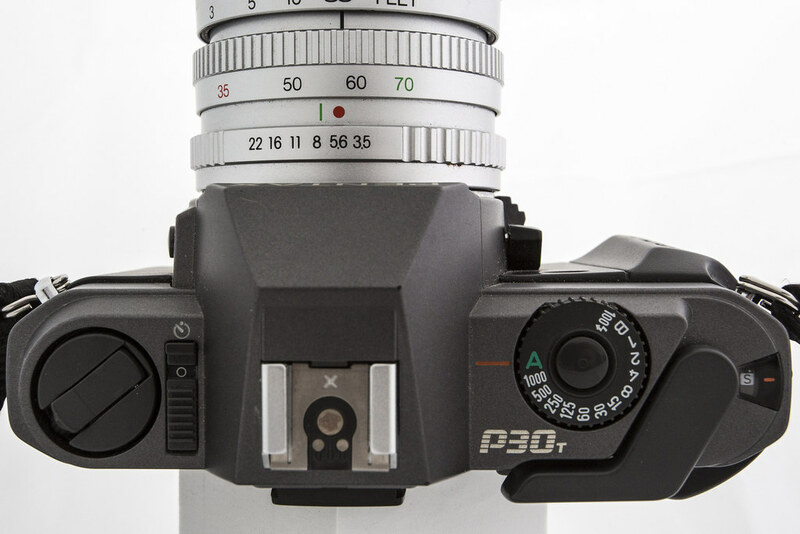 I didn't know much about the Pentax P30T when I saw it pop up on a Craigslist ad for $30. Of course, I looked it up before sending out the email, but there wasn't much to say, it seemed. It was the pictures that drew me in. It just felt so... 1980's. All of the controls flush against the top panel. The pewter colored body. The big "P30" etched vertically into the hand grip rubber in that TV interlaced style that was so common back then. This camera looked like something from Blade Runner. Film Photography & Digital Processing: Yes, You Should Edit Your Photos! There seems to be a presumption, growing in popularity, that film photography is somehow more pure than digital photography. It's the idea that doing any processing on an image after scanning it from the negative is considered "cheating" because you're altering the image from its original, physical source. I'd like to try to clear up this misconception in my usual long-winded and rambling style. 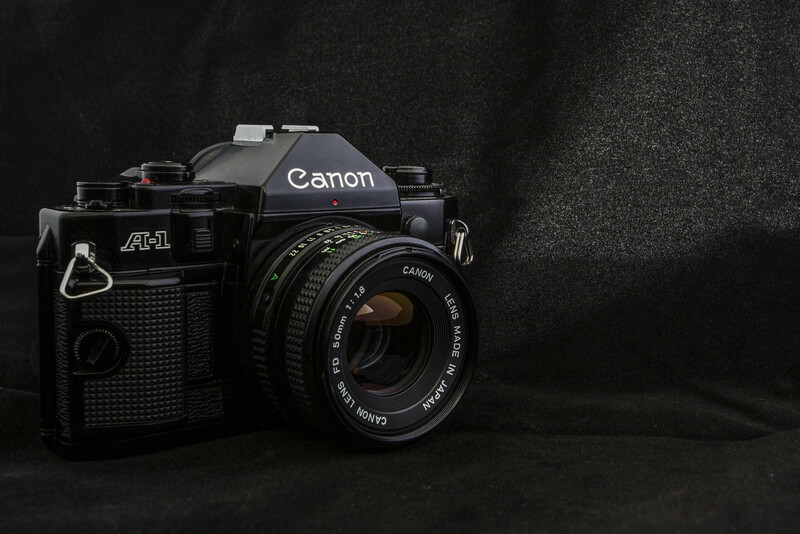 Released in 1978, the Canon A-1 was the first SLR in history to offer a full Program mode, allowing the camera to choose both the shutter speed and aperture and thus allowing the user to concentrate completely on getting the shot. I like historically significant cameras, so this one was on my list. I considered myself lucky when one popped up on Craigslist for a good price. I was thinking about what a great deal I had gotten as I was driving home after buying my Canon A-1. I suppose I did get a good deal, although it wasn't quite the deal it seemed. The body came with the "Action Grip", three lenses, a generic flash, a cable release, user manual, and a camera bag that held everything. All of this for $60. 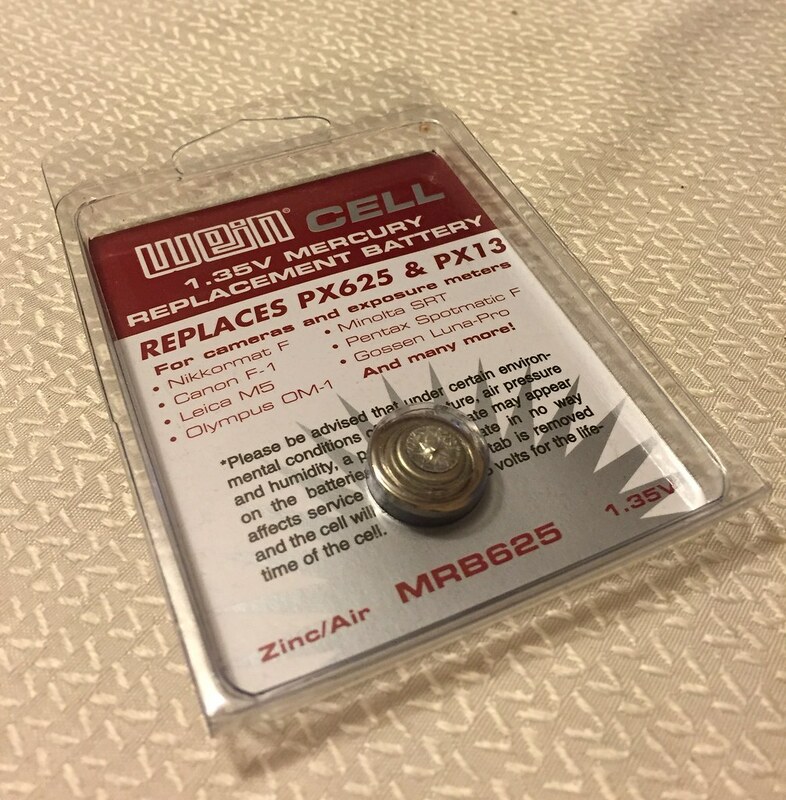 I had noticed that the battery door was cracked, but replacement doors are cheap and this is a common issue, so I didn't worry too much about it. 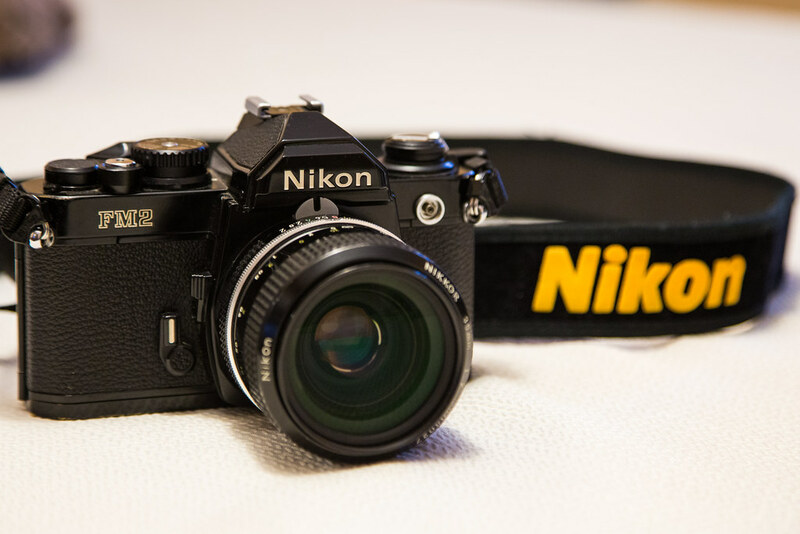 The Nikon FM2n entered the world as a minor update to the groundbreaking FM2 in 1984. With an all-mechanical shutter reaching unheard-of speeds of 1/4000s, the FM2 is a camera that is already unique enough to be on my "want" list. Early FM2n models saw only a couple of changes over the FM2, the most obvious being an update to the maximum flash sync speed from 1/200s to 1/250s. A new mirror stop was also added to the FM2n, as well as an extra light trap in the mirror box. Later FM2n's (from 1989 onward) also saw the titanium honeycomb-patterned shutter replaced with a smooth aluminum one. At this point I have several different cameras that require the old mercury batteries, which are no longer available. Since alkaline batteries have a different voltage and discharge pattern, some cameras cannot accept them as replacements because it would render the meter wildly inaccurate, and in some cases risk damaging the electronics. The good news is that there are a couple of alternatives that work pretty well. 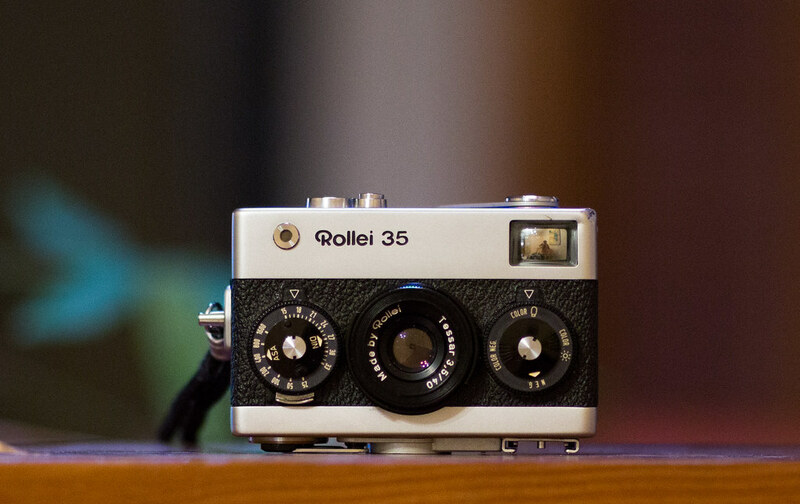 Ah, the Rollei 35. People love it! They're going for about $150 on eBay right now, more than the price of many great SLR's. As for me, I'd have a hard time paying that much for one. Sure it has some great talking points, but never before has a camera made me feel so inadequate. 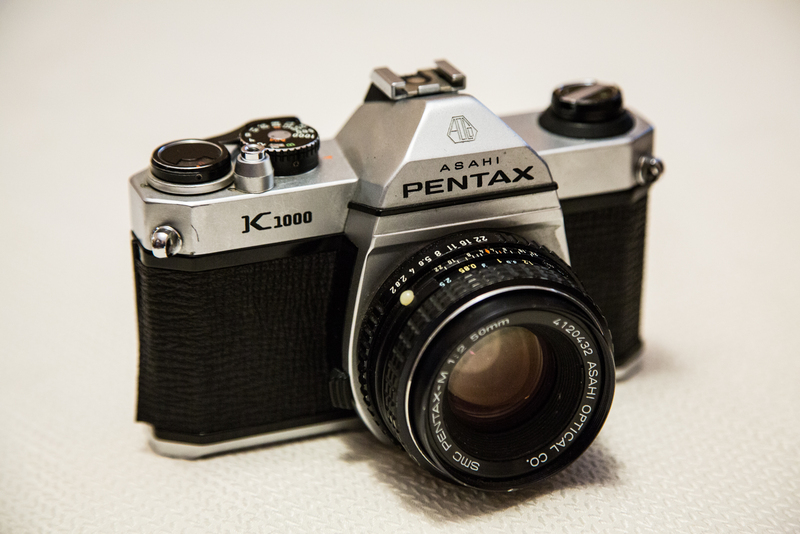 The Pentax K1000 has a reputation for being a solid, no-frills SLR that will probably outlast your children. It's a pretty accurate reputation. I bought mine off of an ex-student that had taken a college photography class and (of course) moved right on to a digital camera. I paid $25 dollars for it and an Asahi SMC 50mm f/2.0 lens. I'm going to include the lens in this review because otherwise it would be quite short. Of course, if you're not interested in that lens you can ignore the appropriate parts. I have a handful of carefully executed traditional darkroom prints available for purchase, made to order. Please visit my store if you're interested in taking a look.